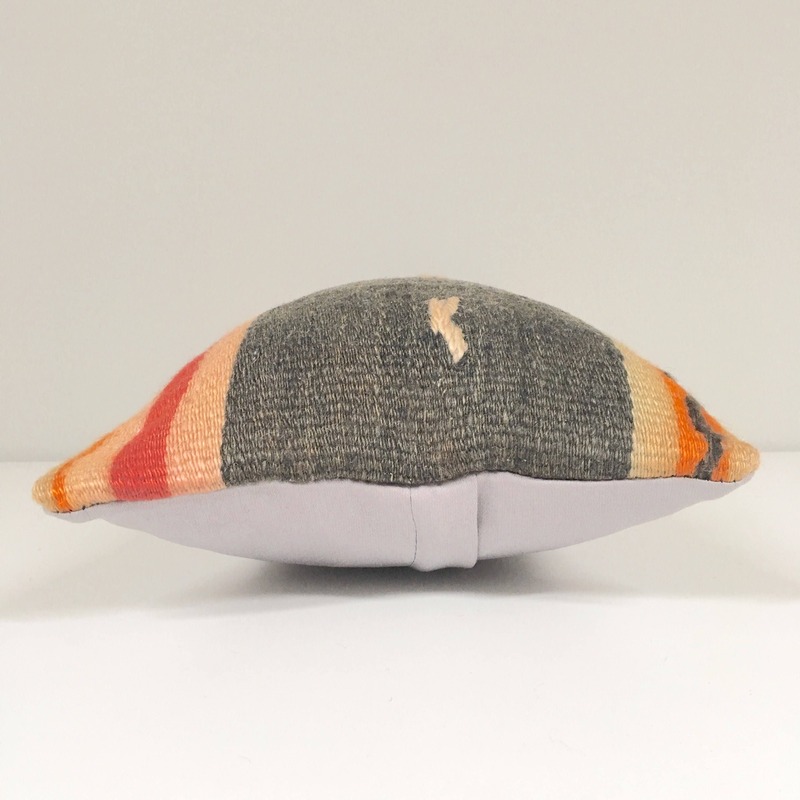 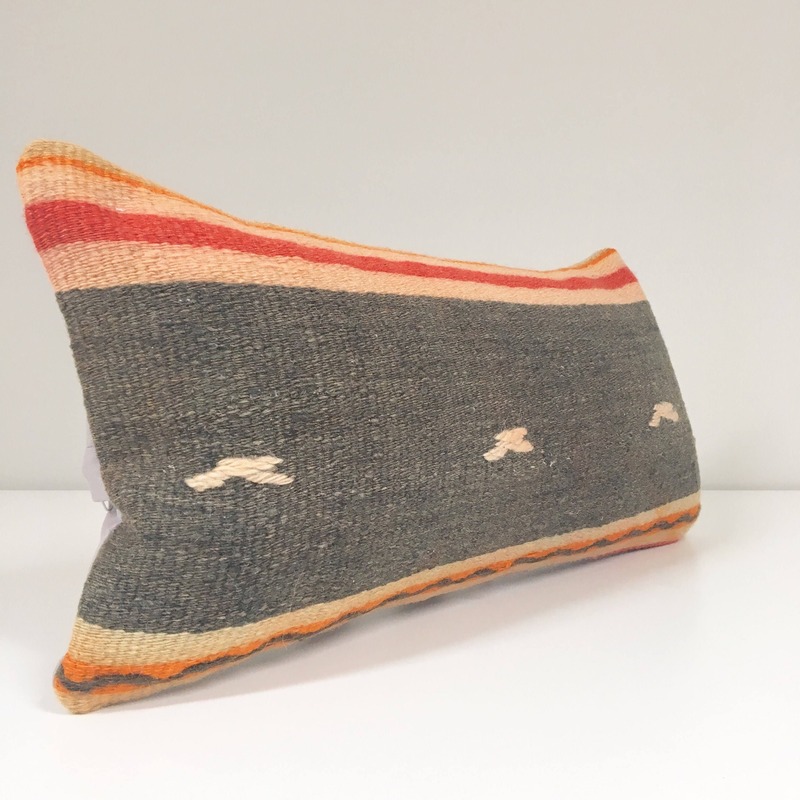 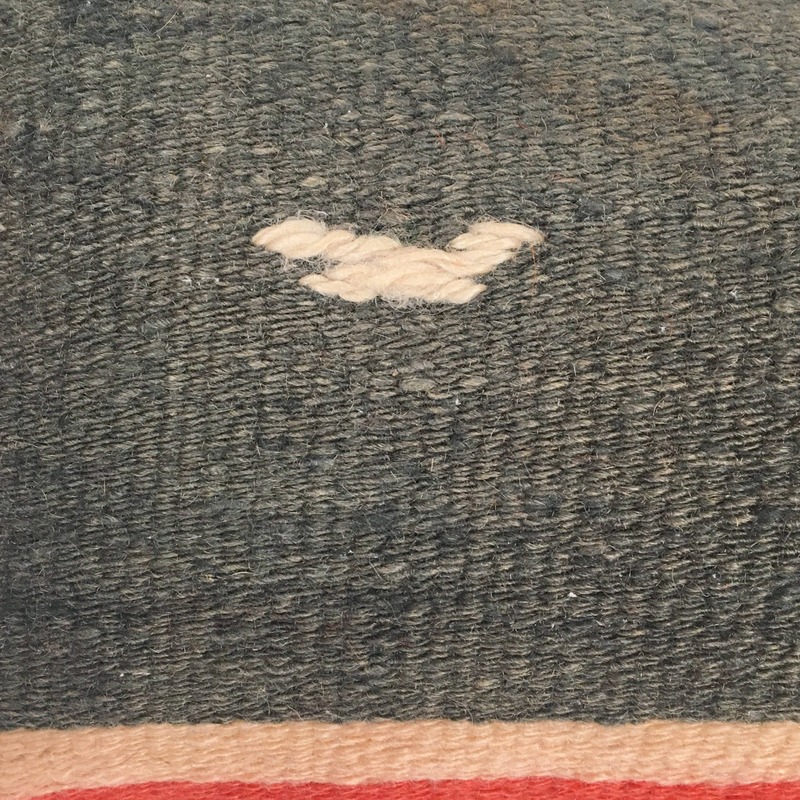 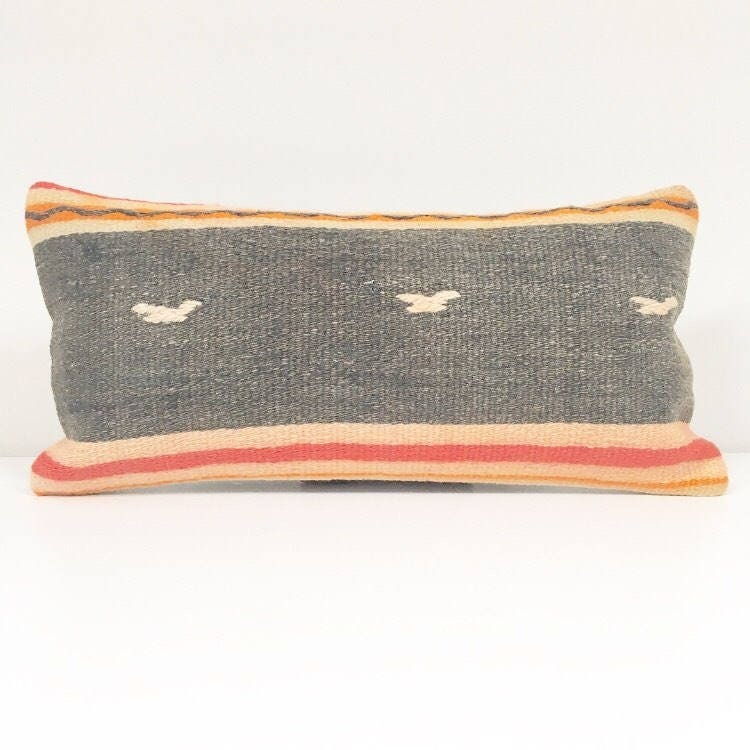 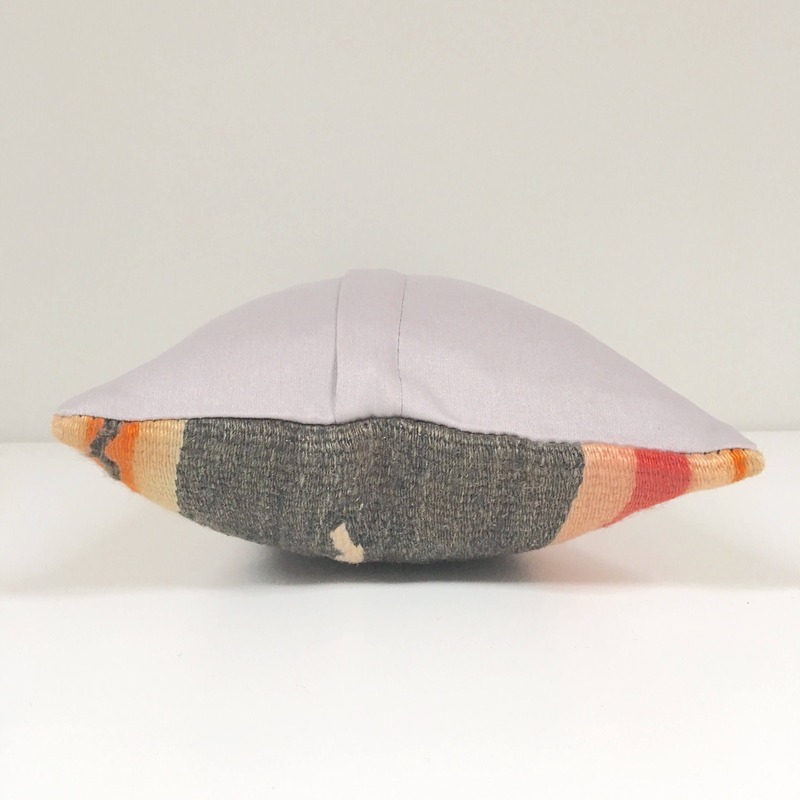 A one-of-a-kind lumbar pillow that was hand-cut from a vintage Turkish Kilim rug. 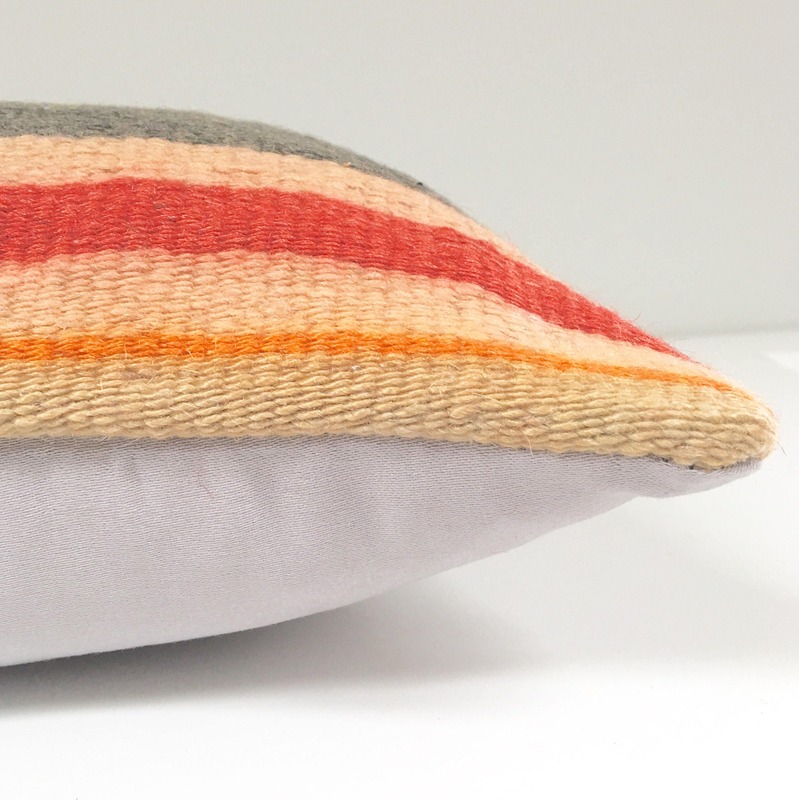 Grey background with a subtle pop of colour along its edges, this pillow would be great on a chair, sofa, or on a bed. 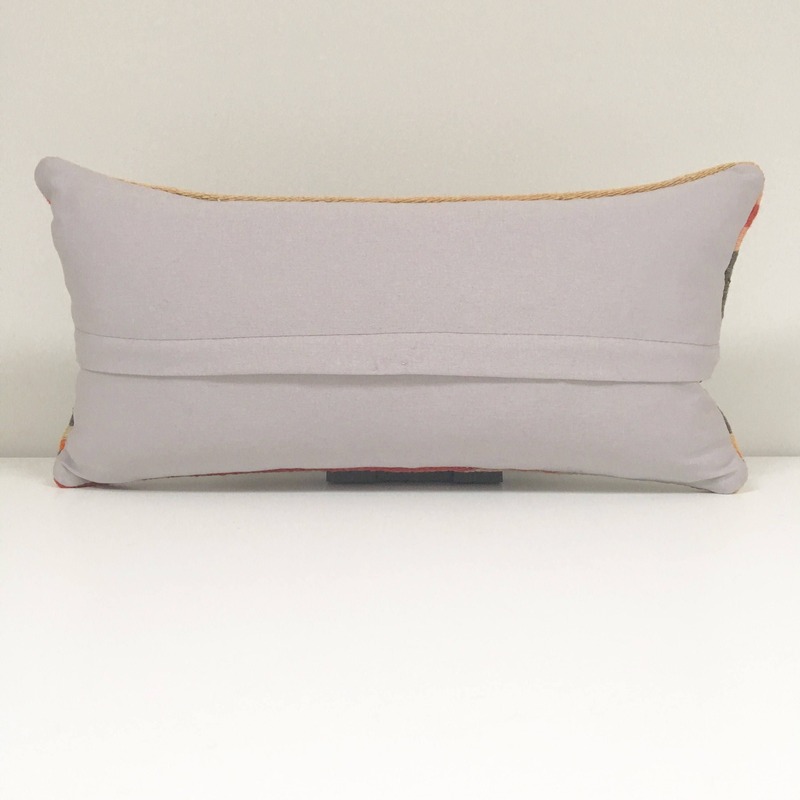 Super durable material with a hidden zipper on the heavy cotton backing.